Muscle pain is the common complaint due to tension, overwork, or muscle injury from strenuous physical exercises. Most people usually take pain medication, apply soothing cream, or simply rest. Nevertheless, do not put it as simple ache because once the pain persists more than 3 days or more, then it may lead infections like flu affecting the whole body system. Nevertheless, for such a long time, ginger is used in Asian medicine to treat several conditions like nausea, vomiting, morning sickness, chronic coughs, migraine, arthritis, osteoarthritis and gastrointestinal complaints. Only later that Western medicine took notice and seriously conduct studies in medicinal properties of ginger. If you are more into natural ways to ease the muscle pain, worry no more because the recent research published in the Journal of Pain of American Pain Society reported a certain traditional medicine that will take all the muscle pain away. A research found that a daily dose of heated treated ginger (30 up to 500 mg) can effectively relieve the muscle discomfort. In a span of 36 weeks of continuous application of heated treated ginger, you can feel the reduced pain in affected area. Moreover, the research conducted in Georgia College and State University and University of Georgia wherein scientists worked with their 74 student volunteers divided in 3 groups have resulted well. The first group was given raw ginger, the second group was given heated ginger, and the last group was given a fake ginger placebo. After which, all the subjects were asked to do 18 eccentric muscle exercised and it lasted on 11 consecutive days to examine who among the group had significant change on their muscle pain. The results found that both heat-treated ginger and raw ginger can lower muscle pain by 23-25 percent. Several studies can also back up the claim since it appears in many researches that ginger has analgesic and inflammatory properties almost the same like non-steroidal anti-inflammatory drugs without any harmful side effects like ulcers and gastrointestinal bleeding. Similarly, as published in the Journal Pedriatic Blood and Cancer, researches gathered from India Institute of Medical Sciences have documents showing how ginger can significantly reduce vomiting in children who were subjected to excruciating chemotherapy. Ginger or root ginger is widely cultivated in South Asia and began to spread around Caribbean and East Africa. The distinct flavor and odor characteristic is the mixture of shogaols (the pungent compound of ginger), zingerone (organic compound that gives the pungent taste), and gingerols (same compound that gives spice to black pepper and chili peppers). The fresh ginger is commonly used in culinary purposes like making it as ginger tea added with honey, ginger candy, ingredients in bread, crackers, ale, beer, and in many seafoods, meat, and vegetarian cuisine. Ginger is well-acclaimed worldwide in many aspects of culinary and medicinal uses. Like in Bangladesh, ginger is chopped and turned into a paste and spread it as a base for meat and chicken dishes with garlic and shallot. In the Philippines, the ginger is famous for sore throat. While in Burma, ginger is the common ingredient in their traditional medicine and that included on the main salad dish with variety of nuts and seeds. If you go in Indonesia, their famous wedang jahe is purely made from palm sugar and ginger. In Nepal, ginger is always present as spice for their vegetables and additional flavor to their tea. The fresh leaves and the finely chopped ginger is the favorite garnish added to the shrimp-and-yam soup in Vietnam. Who would have missed the ginger in most dishes in China? Ginger is most paired with fish while the chopped ginger root is combined with meat. 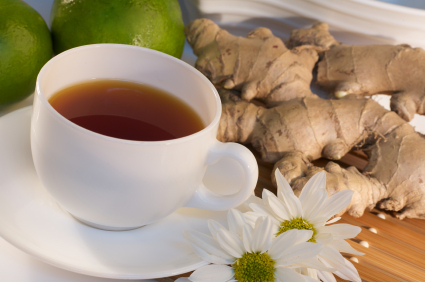 From candy to tea, ginger is also the most well used component in . Likewise, in Japan, ginger is pickled and grated to savor in tofu or noodles. Of course, their famous shoga is made of ginger as well. The traditional Kimchi in Korea is also minced with ginger and usually added to the spicy paste before it is fermented. Lastly, in Western cuisine, their sweet foods are usually made in ginger such as gingerbread, singer ale, ginger snaps, and even ginger-flavored liqueur. The active compounds in ginger can treat several diseases as proven in several diseases. For example, the zingerone has an active component against any form of diarrhea. As mentioned awhile ago, ginger is very good in morning sickness and nausea during pregnancy and chemotherapy. Nevertheless, there is still further study needed as to whether there is any correlation between the consumption of ginger to nausea since the issue is still debated until now. In traditional herbal medicine, the ginger is common remedy on congestion, coughs and colds. Ginger becomes part of the herbal preparation to reduce winds in the blood, fatigue, and rheumatism. In Burma, ginger is best to prevent flu through the process of boiling sweetener from palm tree and fresh ginger. In some part of the West countries, the powdered ginger root is turned into capsules which can be sold in pharmacies like in Unites States wherein the Food and Drug Administration recognized ginger capsule as safe to prevent morning sickness. Normally when taking powdered ginger, symptoms such as rashes, heartburn, nausea, gas, and bloating may persist. People who had inflammatory disease and ulcers are more likely to have body reaction to large doses of fresh ginger. It is not also recommended for people with gallstones. The recommended intake of ginger should be 100-200 mg for ginger pill, ½-1/4 of teaspoon for powdered ginger, and approximately ½ inch of fresh ginger daily, but not exceed the consumption for more than 3 times a day. Again, always take consideration that when minor symptoms persist, consult with your doctor.